HSSC Admit Card 2018: Below are the admit cards published by HSSC - Haryana Staff Selection Commission (HSSC) / adv32018.hryssc.in. The recent Admit Card issued for the recruitment drive is Constable, SI Admit Card 2018. HSSC Constable, SI Admit Card 2018: Haryana Staff Selection Commission (HSSC) has issued the Admit Card on 24 Dec 2018 for Constable, SI Exam 2018. 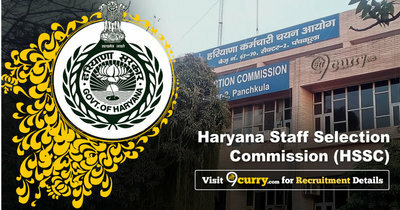 HSSC Constable, SI Admit Card 2018: Haryana Staff Selection Commission (HSSC) has issued the Admit Card on 15 Dec 2018 for HSSC Constable, SI Exam 2018. HSSC Sub Inspector Admit Card 2018: Haryana Staff Selection Commission (HSSC) has issued the Admit Card on 27 Nov 2018 for HSSC Sub Inspector Exam 2018. HSSC Group D Various Post Admit Card 2018: Haryana Staff Selection Commission (HSSC) has issued the Admit Card on 29 Oct 2018 for the exam to be held from 10, 11, 17 & 18 Nov 2018. HSSC Group D Exam Date & Admit Card 2018: Haryana Staff Selection Commission (HSSC) has issued the Admit Card on 10 Oct 2018 for the exam which is scheduled to be held on 10 Nov 2018 to 11 Nov 2018. HSSC Group D 2nd Phase Exam will be held on 17 Nov & 18 Nov 2018. HSSC PGT Computer Science Admit Card 2018: Haryana Staff Selection Commission (HSSC) has issued the Admit Card on 04 Oct 2018 for the exam. HSSC TGT (Science) Admit Card 2018: Haryana Staff Selection Commission (HSSC) has issued the Admit Card on 25 Sep 2018 for the exam. HSSC Laboratory Attendant Admit Card 2018: Haryana Staff Selection Commission (HSSC) has issued the Admit Card on 24 Sep 2018 for the HSSC Laboratory Attendant Exam 2018. HSSC PGT Biology Admit Card 2018: Haryana Staff Selection Commission (HSSC) has issued the Admit Card on 18 Sep 2018 for the exam. HSSC Operation Theatre Assistant,MPHW (Female) Admit Card 2018: HSSC has issued the Admit Card on 02 Mar 2018 for the exam. HSSC has issued the Admit Card on 29 Sep 2017 for the Operation Theater Assistant Online Computer based Examination which is scheduled to be held on 05 Oct 2017. Candidates can download their admit card from HSSC website "http://recruitment-portal.in/HRSSC.html". HSSC has issued the Admit Card on 18 Aug 2017 for the exam.